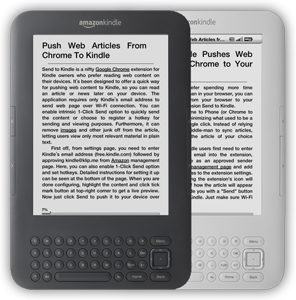 More and more people like reading on their Kindle, Android/iOS devices. 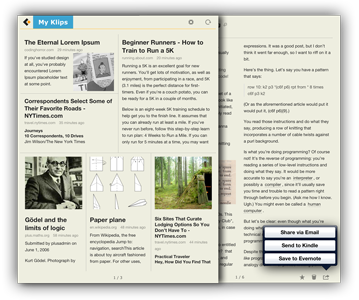 "Klip.me" is a simple service for sending web content to mobile devices. Furthermore, it removes ads and other junk from the article, letting users view only most relevant material in clean text. You can Read, Collect, Search, Share your favorites web articles anytime anywhere. Push your favorite web articles to Evernote, Instapaper or Email.